When termites invade your Woodstock home or business, it's wise to seek professional assistance as soon as possible. The most common species in Georgia is the subterranean termite. 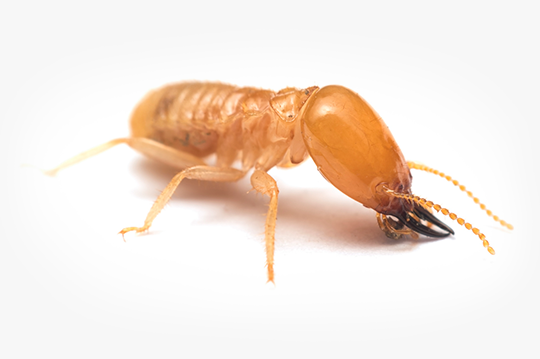 Formosan and drywood termites also exist in the Peach State, but they remain rare. All of these insects devour and nest in wooden structures. Severe damage can occur in the walls if no one addresses the problem. 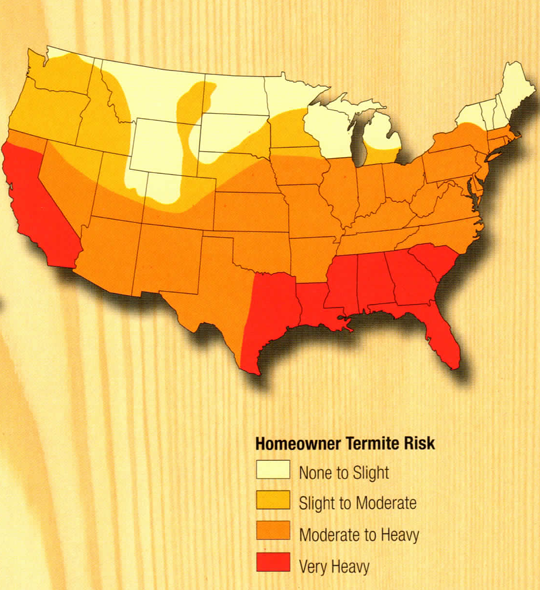 Each year, Americans spend billions of dollars on termite-related repairs. To avoid these physical and financial risks, it's crucial to quickly banish this pest rather than wasting time on ineffective do-it-yourself efforts. Workers need the right training, education and tools to perform effective termite control. Our company employs registered technicians with long-term experience and considerable knowledge about pests. They perform termite control tasks on a regular basis. Technicians can answer all of your questions, inform you about ways to prevent reinfestation and customize treatments as needed. Our techs have the ability to control pests in many different types of structures, including single-family homes, apartment complexes, offices, shops and other businesses. They know how to safely apply treatments in ways that won't damage a building. When you request termite control service, we'll start by sending an inspector to your Woodstock property. He or she will examine the building and look for termite tunnels, damage and infestations. This professional also creates a precise diagram of your home or business. The detailed drawing helps prepare our team to target potential infestation points and apply Termidor 80wg in the appropriate locations. Our inspector also estimates the cost of the desired service. If you're satisfied with the quote, two to four technicians will visit your property. They'll bring a variety of equipment, such as drills, injectors and pumps. The technicians will begin by digging trenches along the sides of the building. The next step is to drill holes in its foundation. Rest assured that our staff takes every precaution to prevent damage. Subsequently, they'll apply a termiticide called Termidor 80wg. This product is more effective than any alternative. Bug-Off is a local pest control company based in Woodstock. We have served Georgia home and business owners for over three decades. You can depend on us to perform effective services while charging competitive rates. To set up an appointment for termite control in Woodstock, please call 770-928-8000 today. These are at the center of every termite habitation, with at least one king and one queen in every colony. The sole purpose of the queen is reproduction, which will take place during a life span that could extend for 30 years or more. Every year, queens can lay thousands of eggs, which will then hatch into nymphs. Nymphs will later diverge into specific castes of termites. They will become workers, soldiers, reproductives or supplementary reproductives. Representing the the largest caste in the termite community, workers are more likely to be found in infested wood. Though blind and wingless, workers serve the colony by building, repairing, foraging for food and caring for other termites. Soldiers are blind, wingless and sterile, and their only purpose is to defend the colony. Eventually leaving the colony and becoming swarmers, winged reproductives will later shed their wings. Each male and female pair will then try to start a new colony. With the primary role of increasing the termite population in established colonies, supplementary reproductives can also serve as replacements should the original king and queen die.